The Cisco Aironet Series offers small and midsized enterprises great performance, functionality, and reliability at a competitive price up to high-density network environments that utilize mission-critical, high-performance applications. 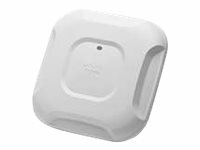 If you operate a small or medium-sized enterprise network, deploy the Cisco® Aironet®1700 Series Access Point for the latest 802.11ac Wi-Fi technology at an attractive price. The 1700 Series meets the growing requirements of wireless networks by delivering better performance than 802.11n and providing key RF management features for improved wireless experiences. The 1700 Series supports 802.11ac Wave 1 standard capabilities. That includes a theoretical connection rate of up to 867 Mbps. Building on the Cisco Aironet heritage of RF excellence, the 1700 Series access points run on a purpose-built, innovative chipset with a best-in-class RF architecture. 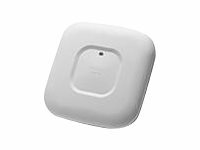 The 1700 Series is a component of Cisco’s flagship, 802.11ac-enabled Aironet access points that deliver robust mobility experiences. Cross-AP noise reduction Cross-AP noise reduction, a Cisco innovation enables APs to intelligently collaborate in real time about RF conditions so that users connect with optimized signal quality and performance. Optimized AP roaming Optimized AP roaming ensures that client devices associate with the AP in their coverage range that offers the fastest data rate available. Cisco ClientLink 3.0 technology Cisco ClientLink 3.0 technology improves downlink performance to all mobile devices, including one-, two-, and three-spatial-stream devices on 802.11ac. At the same time, the technology improves battery life on mobile devices. Cisco CleanAir technology Cisco CleanAir technology enhanced with 80 MHz channel support. CleanAir delivers proactive, high-speed spectrum intelligence across 20-, 40-, and 80-MHz-wide channels to combat performance problems due to wireless interference. MIMO equalization MIMO equalization capabilities, which optimize uplink performance and reliability by reducing the impact of signal fade. High Density Experience (HD Experience) Building on the Cisco Aironet heritage of RF excellence, the 3700 series utilizes a purpose-built chipset with the best-in-class RF architecture. This chipset provides a High Density Experience for enterprise network designed for mission critical, high performance applications. Scalability The Cisco Aironet 3700 series is a component of the Cisco unified wireless network, which can scale to as many as 18,000 access points with full layer 3 mobility across central or remote locations on the enterprise campus, in branch offices, and at remote sites. The Cisco unified wireless network is the industry's most flexible, resilient, and scalable architecture, delivering highly secure access to mobility services and applications and offering the lowest total cost of ownership and investment protection by integrating smoothly with the existing wired network.